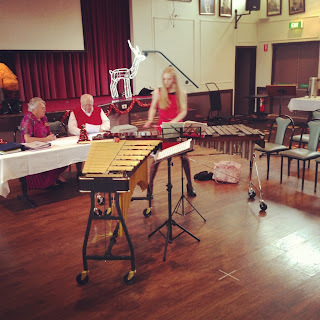 Today we played at a Christmas Morning Tea for the Canberra PROBUS group. Lots of fun! I especially liked the (moving) reindeer behind Christina. It reminded me of Sweden!